Since I prefer to teach using a reader’s workshop model (read more about how I teach reading in 5th grade here), I do a lot of assessing my students on their reading strategies and behaviors authentically. However, assessing them on specific reading skills and standards I have taught has proved tricky in the past. That was before I started using reading exit slips. Reading exit slips are a life-saver and quick enough to give me the information I need without taking up too much valuable reading instruction. 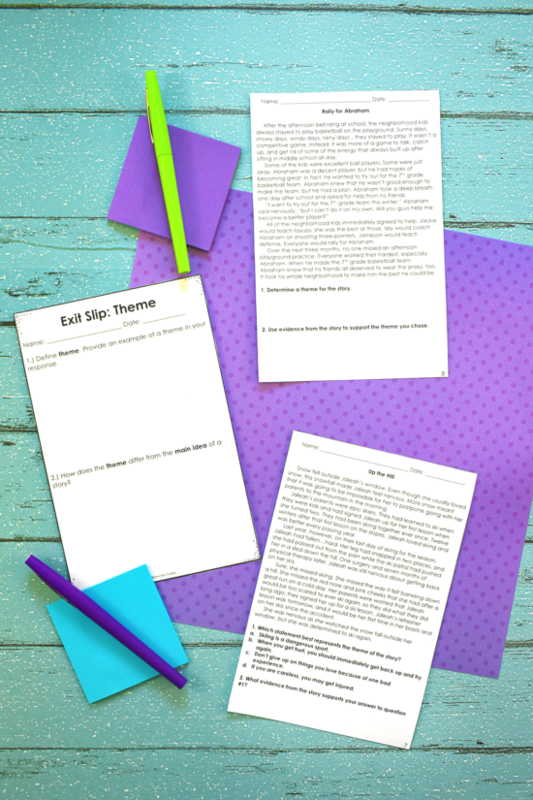 On this post, I will share some free reading exit slips, how I use them, and what I use next to continue assessing my students. These particular reading exit slips offered free on this post specifically assess the students ability to define and write about a reading skill/standard. When I teach a new reading skill, I typically do so by using a mentor text. (Click here to see all of my mentor text post suggestions by skill or holiday.) We discuss the skill and immediately apply it to the mentor text. Before my students are ready to independently practice with the skill using a grade level text (I use texts written specifically for the skills I teach which you can see here), I always assess their current understanding of the skill itself. I do this informally throughout the lesson by asking questions and monitoring for understanding. But I always like to have a bit of a more formal (but still very much formative) way of seeing how my students are doing with a new skill. Enter these reading exit slips. These reading exit slips are the ones I use after introducing and practicing a skill to see if my students are ready to apply the skill or if they still need to improve their understanding of the skill. These reading exit slips require the students to define the skill and then answer a follow-up question about the skill’s importance, purpose, etc. For Inferences, the students are asked to explain what it means to infer and why readers need to be able to infer. For Character Traits, the students are asked to define character traits, give example traits, and explain how a reader can determine a character’s traits. continue teaching the skill explicitly through another mentor text with more think-alouds and modeling on my part. back-track and teach a prerequisite skill my students are missing to be able to understand this skill. move the students to independently applying the skill using their own independent reading or common texts. 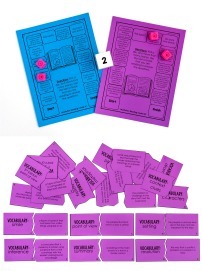 Want to use these reading exit slips in your classroom? 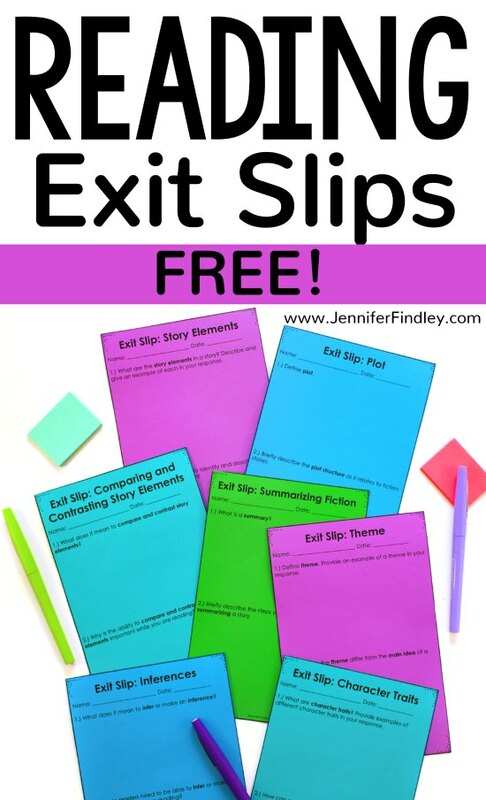 Click here or on the image to download these free reading exit slips. Once my students have showed mastery on the basics of the skill (describing or explaining the skill and its purpose), we move instruction into the application aspect. At this time, my students apply the skill to their own reading, our guided reading books, and passages written specifically for the skill. After my students have applied the skill to a few texts, I use my reading exit slips with texts to check in on their progress. I have two exit slips per skill, so I will use one typically on Wednesday or Thursday and then a more formal one that I take for a grade on Friday. 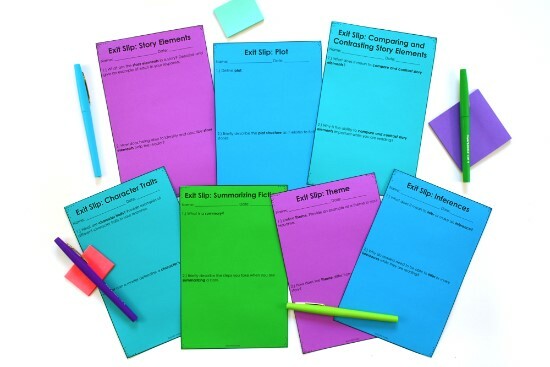 Click here to see the Reading Exit Slips I have for purchase in my TeachersPayTeachers store that I use after introducing skills. These require my students to apply the skills to grade-level texts. 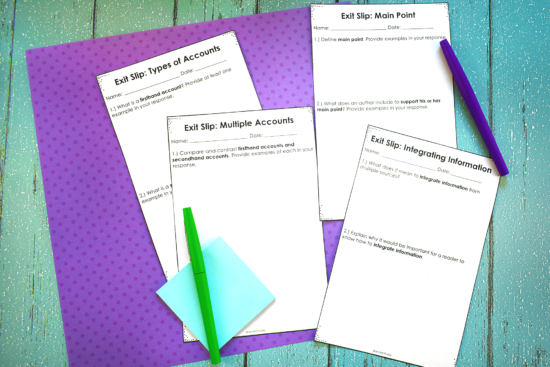 How are these exit slips in your TPT store different from the free ones on this post? 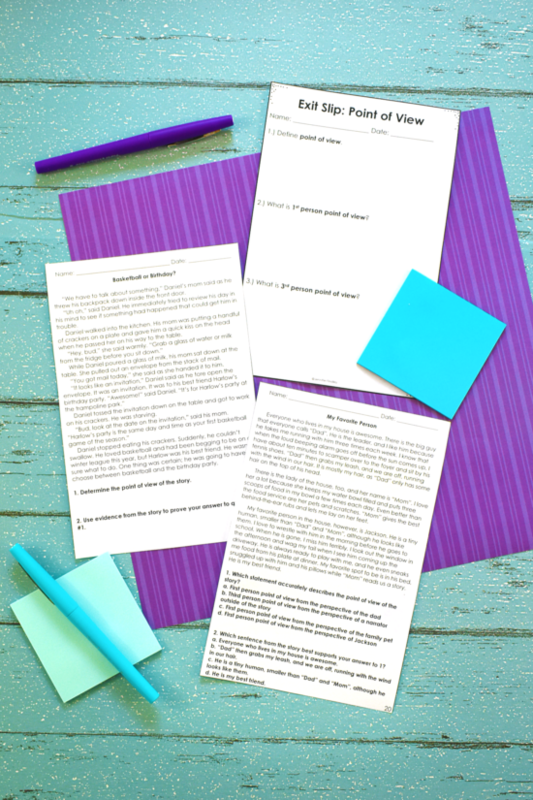 These specific reading exit slips come with texts and text-dependent questions that require the students to apply their knowledge of the skills. 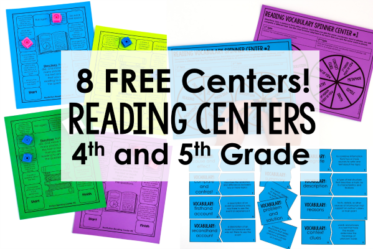 I use these after using the free reading exit slips on this post and after having my students practice the skill a few times. 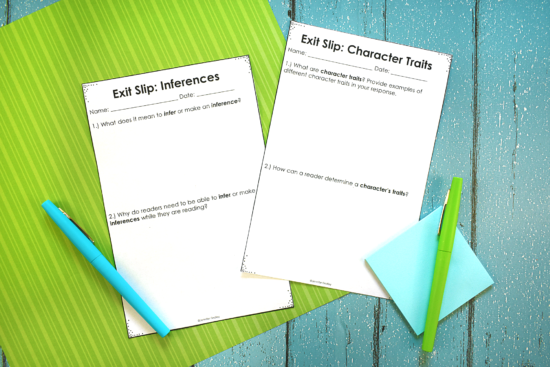 These specific reading exit slips assess the students’ application of the skill/standard. 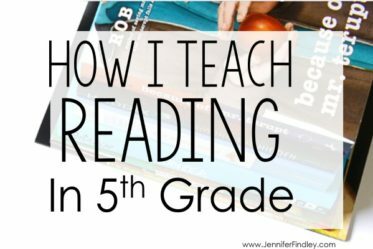 Want to Read More about How I Teach Reading?